Ballroom dancing has got a lot of attention these days. Ballroom dancing being a cardiovascular exercise some of the major muscle groups of our body and gets a workout like the hip abductors, quadriceps calves the hamstring and glutes etc . Many new ballroom dancers as they begin training will sense some amount of discomfort in muscles they didn’t know they had. In fact it is necessary to have a moderate warmup & stretching practice before/after dancing as it prevent muscle pulls cramps and contractions.Fo greater coordination dancers aim should be to enhance the muscular strengths and endurance and tone in the entire body. Essentially involving in the upper body , the back,the arms and in the lower body- the abdominal core sections and the legs and calves. Guard against repetitive stressful movements or what is called as overuse injuries when the muscles of the body are subjected to intense tension in exaggerated movements of certain dance movements . A good way to combat or prevent this is to strengthen those groups of muscles that may not be developed by/in your dance practice. Its important to lengthen and loosen all the important muscles. If your aware of any injury prone areas of your body it would be imperative to share with your dance educator and they could help in working with you in a modified version of any particular exercise to suit your needs. As you start your dance training it would be a good idea to be consciously aware of your postural alignment all through. A good postural maintenance prevents strains in the back and helps in any of lifts drops dips that one may be learning to do. The warm up and cool down sessions should always have an important role in your dance training. 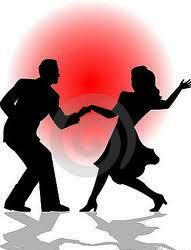 Ballroom dancing can be recommended as a physical activity for everyone. Benefits include – core strength cardiovascular and flexibility of the entire body. 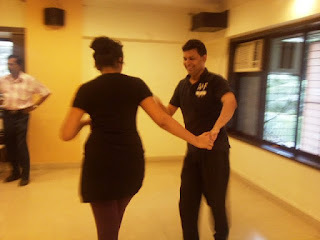 Chacha Waltz – Cha Cha is fun to start with and has some stylish patterns which can greatly increase coordination of ones movements.Waltz can strengthen your spatial awareness with its heady romantic turns twirls . Samba – This is a dance which provides a fantastic abdominal workout, and an increased level of stamina. Energize with some terrific hip movements that tone up your entire body. Quickstep &Tango - The quickstep improves balance and peripheral vision immensely. 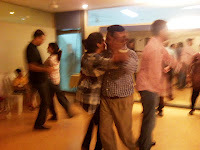 Tango is known for the preciseness of its controlled slow and fast footwork , which improves postural control in your upper body tones up your legs . Jive is a lively and an energetic dance which increases overall stamina and tone up your entire body within pulsating moves. Dances there is no dearth of ...in this world ! After all there are so many happy people in the world , whats important is to understand what you feel as you dance and connect with that which makes you come alive . Training yourself and learning to dance some or all of these dances is a great way to keep yourself ready to dance whenever and wherever you want to dance ... After all dancing is a way of life ! They are very simple lessons and yet very powerful. and contribute in making one a better dancer immediately. 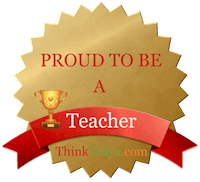 But more importantly it helps to know how to be a better leader in life too. 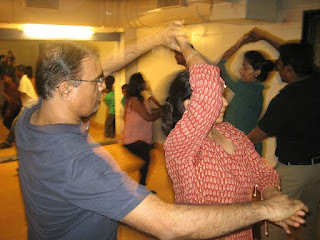 About a decade or more years back, Social dancing workshops and lessons in India were rarely common .We decided to do something about it and the Dance Concepts Latin &ballroom dance workshops began . 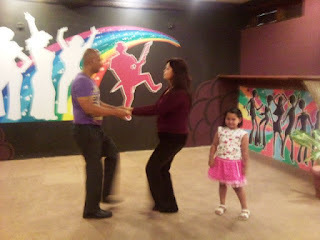 We started with the basics :a Foxtrot , a Waltz , Jive , Rock n Roll and of course a Cha Cha Cha. 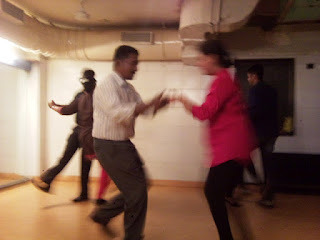 The idea was to teach as naturally and as simply as possible, so that the students made quick progress in learning the concepts of dancing rather than just a routine. Having had the privilege of sharing our social dancing skills with so many eager learners over the years we made a few observations … when the learners were learning the footwork side by side they would find it a breeze. 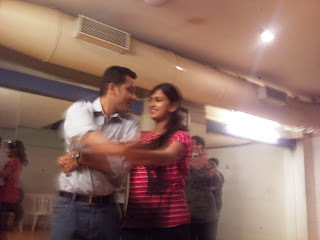 But when we instructed them to join hands and dance together, Some of them felt as if they were wrestling more than dancing with the girl pulling one way, while the man was pushing her another way Each had their ideas about how theys hould move and how it would look. Social Dancing is a partnership, a partnership where there is a leader and a follower. Even if you don't like to follow, to dance well together it is wise to respect the partnership rules. Learning to follow is a skill that one needs to develop and is not necessarily easy. It’s difficult as you have to do the same thing your partner is doing, except backward. Just as important, you have to follow his lead even if it seems as if he's going the wrong way. And thus if one learns to lead well, the partner may actually enjoy the feeling of being led than feeling yanked and shoved around. Tradition the man takes the lead on the dance floor. Yes, in ballroom dancing - even these days -mostly the man leads. But roles can be reversed After all it takes two to tango... if one leads the other follows. Being a leader is more about sensitivity and definitely not about pushing your partner around, but to lead well, it is necessary to develop spatial awareness so you know exactly where your partner is at every moment, which foot their weight is balanced on without looking. You have to be aware of their pacing, strengths, and weaknesses. And you have to take all that into consideration every time you move with a partner in your arms." A good leader connects than controls. Know what you are going to do before you do it.Just know what your next step is going to be, and give your partner the signal at the right time so they can follow you gracefully. Like so in life: Having a long-term vision of what your life should become is like knowing what type of dance you want to do. But being a good leader requires more of you than that. It demands that you also have good ideas about the medium- and short-term tasks that are required to achieve that vision. And it means you have to communicate those ideas to your partners - those who are working closely with you to achieve your long-term vision. Signal your intentions distinctly. To lead well, and the way to avoid using force is to give strong, clear signals. The stronger your signals are, the easier it is to follow you. 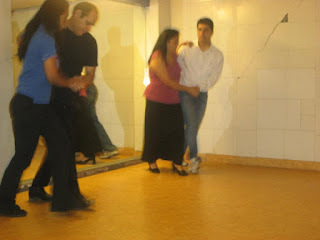 And the easier it is for your partner to follow you, the better you'll look and the better they will like dancing with you. In life: Knowing what you want from your partners, colleagues etc is not enough. You have to let them know what you want them to do by communicating it to them very clearly. And you have to give them enough time to do it. 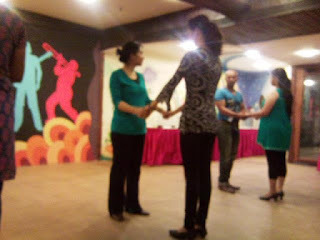 Lead to demonstrate your partner's strengths.In dancing, the purpose of the leader is to lead - but the purpose of the dance itself is to enjoy the moment with your partner, each focusing on the strengths than the weaknesses... Wise leaders hardly blame the follower when things go haphazard , which it might at times....After all exhilaration and excitement are a stones throw away from comfort zones that one might trespass at times , yet when ever the leader and the follower work in harmony ... its magnetic and mesmerizing indeed ...... it is then a dance beyond all expectations!